A 40 year history of barrel racing wins. 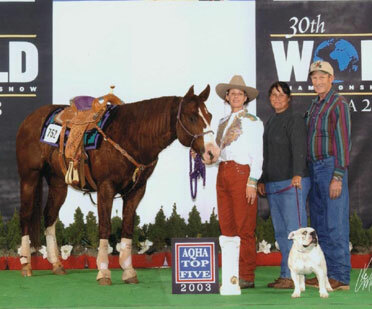 Three Bugs Alive and Kim Ferguson winning 4th in the AQHA World 2003. We have been breeding, training and riding barrel horses for over 40 years. Below are some of the horses that have gone on to be winners. Most of them were bred, raised and trained by us. 2009 Big Bang 2nd Avg. 3rd Open at Gillette, Wy.